What is BSNL GPF ? General Provident Fund is the GPF full form, and BSNL GPF is the savings investment tool of an employee by contributing certain percentage of their salary managed by Bharat Sanchar Nigam Limited by providing interest on each subscription amount. An employee who was recruited in DOT (Department of Telecommunications) and absorbed to BSNL with minimum of one year continuous service including temporary servants and re employed pensioners must have to subscribe for BSNL GPF subscription at a minimum of 6% of existing BSNL basic pay scale, where the Temporary BSNL employees of DOT who have not one year service may subscribe to GPF voluntarily. The existing rate of BSNL GPF subscription amount at 6% on basic pay can be enhanced or increased twice in a year, but the same amount can be decreased only once in a year by submitting the written request for increase or decrease the subsciption to the concerned BSNL Accounts officer. When BSNL stops the GPF subscriptions ? General Provident fund subscription of BSNL employees can be stopped at the option of the government servant during Suspension, Half Pay leave, EXOL and Dies Non, and the employee on reinstatement can pay the arrears of BSNL GPF subscription in installments or one lump sum. Any short or excess recovery of BSNL GPF subscription found in any case, may be regularized by adjustments in subsequent monthsor by actual cash payment. BSNL General Provident Fund subscriptions cannot be made in the employee salary for whom final withdraw has been allowed consequent upon proceeding leave preparatory to retirement or permitted to retired while on leave or medically declared unfit to service unless he returns to duty. If a BSNL employee or government servant dies the course of a month, a proportionate subscription should be recovered in that month and the subscriptions for the last three months of service should be compulsorily stopped in BSNL ERP Portal. The employee of Bharat Sanchar Nigam Limited is allowed to credit his/her bonus amount if any into their GPF account without any conditions upon request to the concerned BSNL officer. GPF subscriber in BSNL should have a chance to nominate one or more persons (spouse, children etc..) of his family specifying the share of each at the time of joining into the department giving the right to receive the balance amount standing in the credit of his BSNL GPF account in case of any kind of death occurs. BSNL GPF account holder can change the nomination at any time when the BSNL servant acquires family or additional member in the family, where the existing is cancelled when received new GPF nomination by concerned Accounts Officer. GPF nomination can also changed even after the retirement on superannuation or voluntarily so long as the GPF balance amount remains as unpaid. How EPF scheme helps EPFO member or BSNL employee with new UAN helpdesk, how to check EPF balance online, what is the calculation formula of EPF pension, how to register for EPFO unified portal, where to get UAN number and member login details of UAN portal and how to withdraw EPF amount online and where we can check the claim status and how an employee can register the grievance against EPFO using UAN helpdesk to resolve the issues in online instantly ? Employee Provident Fund is EPF and the scheme is managed by EPFO of India under Employees Provident Funds and Miscellaneous Provisions Act 1952, where the act is applicable to specified establishments in which 20 or more persons (including the working contract employees) of any organization established in India to help the employees with huge retirement benefits. Who can become as an EPFO member to avail EPF Scheme ? As per the new rules of Employee Provident Fund Organization (EPFO), the minimum salary for PF deduction of an employee who want to become an EPF member, if his/her pay is less than Rs. 15000 per month at the time of joining is allowed as a member and the employee who want to become an EPF member even drawing more than Rs. 15000 starting pay can obtain permission of Assistant Provident Fund Commissioner with mutual agreement of employer and employee. On becoming a member, an employees is eligible for Provident Fund benefits, pension benefits and Insurance benefits and the employee is required to pay the contribution at 12% of Basic Pay and Industrial Dearness Allowance towards EPF, where the same equal amount at 12% contribution on employee emoluments. The interest on EPF contribution is added to the Employee provident account on all the monthly accumulations on yearly basis after the financial year, and all the members of the EPFO are informed the balance of their fund accumulations through EPF balance slips or Annual Provided Fund statement of accounts FORM 23. As per the latest circular, to check EPF balance, a member must have UAN number generated from Employee Provident Fund Organization (EPFO), and on submitting UAN, you can check the present EPF balance online through a missed call, via EPFO App or with EPF balance passbook by login into the member Passbook portal. The member of Employee Provident Fund Organisation can download and print their monthly subscription details deducted from salary towards at the new portal passbook.epfindia.gov.in/MemberPassBook/Login.jsp by using new UAN login. The employees provident fund members can avail the advances or withdrawals form the EPFO through FORM 31 which provides details and the documents to be submitted. The members of EPF can avail drawal amount from EPFO for Plot Purchase and House Construction, Marriage, illness and closure of establishment, but these are all sanctioned by EPFO as per the percentage basis on the available EPF balance in the account. In case of premature death, the EPF is payable to Nominee or family members specified as per the share mentioned in the nomination provided through online or offline. Provident Fund member of the EPFO is also a member of the Insurance Scheme, for this there is no separate amount of contribution is payable by the employee, where in case of death of an employee while in service, upto Rs. 35000 is payable to Nominee/ Family members. 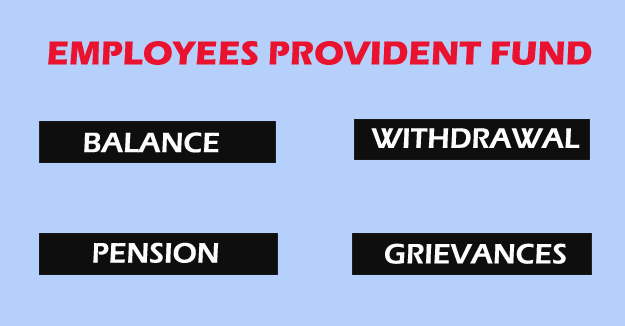 Out of employers share of Provident Fund Contribution, 8.33 of pay is diverted towards Pension Fund, and the pension is not related to the quantum of contribution paid and also no individual account is to be maintained for the pension contribution and also no annual statement of account is supplied for pension account. EPF Pension is based on the age, wage and service of the employee at the time of leaving the service, and the payment of pension is guaranteed and assured even in cases where the employer fails to deposit the Pension contribution. BSNL employee who is under EPF scheme is eligible for pension after 10 years of regular service, and the Pension is payable on attaining the age of 60 years, whether he is in service or superannuated, where a BSNL employee can also have a chance to get early Pension at reduced rate can be availed on leaving the employment, after attaining the age of 50 years, Where an employee is totally disabled and leaving the service on account of disablement, Disablement Pension is allowed. No age and service stipulation to claim this pension. The pension quantum may increase every year and the Pension claims are received three months before the date of superannuation, the Regional Provident Fund Commission will deliver the Pension Payment Order on the Day of superannuation. Apart from the Pension benefit, a member can commute up to one third of his pension and in lieu of this, he/she will receive a lump sum amount equivalent to 100 times of the commuted value of the pension, and a pensioner may nominate a person to receive a lump sum amount after his death, as Return of Capital. Family Pension is payable even where the death occurs before 10 years of service and thus, the minimum eligible service of 10 years is not applicable. On Death of a pensioner, the Pension is automatically payable to the spouse (widow/widower). When a EPF member or BSNL employee dies as Bachelor or Spinster or where there is no spouse or children below 25 years, the Family Pension is payable to Nominee till his/her death and when there is no valid nomination from EPF member, the Family Pension is payable to dependent father followed by dependent mother. In addition to Family Pension to widow or widower, Children below 25 years are also eligible for Pension simultaneously and It is payable to the married daughters also, but on death or remarriage of widow/widower, the Children will be given enhanced EPF pension treating such children as Orphan. On behalf of the minor children the EPF pension is payable to guardian. Any child in a family with total and permanent disablement will receive EPF pension till death. The monthly pension is payable on the first day of every month through the Savings Bank Account of the pensioner in specified Banks and the EPF Pension can be drawn anywhere in India. The employees with less than 10 years of service on the day of superannuation may avail the benefit of withdrawal from the EPF Pension Fund. Employees who have not contributed to the Family Pension Scheme 1971 can also join the new Pension Scheme before attaining 58 years, at their option paying the contribution and interest up to date. 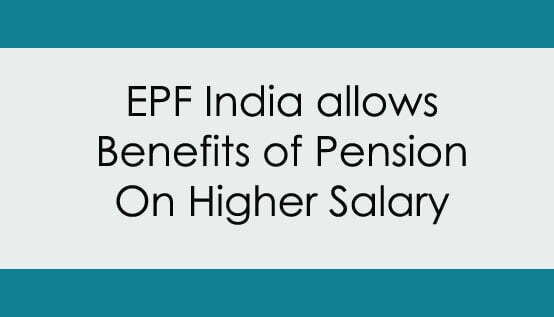 The contribution to EPF Pension Fund can be made beyond the new ceiling limit of Rs. 15000 on the joint request of the employee and the employer so as to get more pension benefit. Employees of any organization can utilize the EPFO unified portal services with allotted UAN number on login to EPF UAN portal. Many of the EPFO members don’t know about how to generate EPF UAN Number, here we guide the process of generating the UAN number with new login portal. After generation of EPF UAN number, Activating the same in the new login portal is a small process which is permanent. With EPF UAN login id and password, a member of EPFO can transfer EPF account to other regions, merge multiple accounts, transfer EPF amount to one account from various, name and date of birth corrections, KYC activation and also submit the online nomination at EPF UAN login portal. EPFO account members can lodge all their complaints or grievances through online by filling up the online grievance registration form at epfigms.gov.in/homepage.aspx mentioning the EPF account details and personal details and nature of the complaint in detail about Claims, Withdrawal, EPF Pension, EPF transfer, Insurance benefit, Balance Slip Name change, KYC updation and many more, where the registered complaints will have a chance to check the status of EPF grievance from anywhere in the same EPF website. A BSNL employee who has successfully completed 15 years of service or within ten years before the date of superannuation which is earlier can withdrawn the GPF amount up to 75% of the deposited amount for the following. Education in India for any medical, Engineering or other technical or specialized course beyond high school stage. Obligatory expenses such as betrothal or marriage of the GPF employee or his children and any other female relation dependent on him. Expenses in connection with illness (including travel expenses if any) of the subscriber and members of his family or any person actually dependent on him. To purchase new building or acquiring a suitable house or ready to built flat including the cost of site. Repaying an outstanding amount of loan expressely taken for building or acquiring a house or ready. To purchase a house site for building construction or repayment of loan expressly taken for the purpose. Reconstruction, making additions and alterations to already owned house or flat. Renovating, additions/alterations or upkeep of an ancestral house at a place other than the place of duty. Constructing a house on a site purchased with BSNL GPF final withdrawal. A BSNL employee who have completed 28 years of service or less than three years of service before retirement is eligible to withdraw for extensive repairs / overhauling of employees motor car as per the new GPF withdrawal rules BSNL. If the employee completed 15 years of service can withdraw for purchase of CAR ( max of Rs. 1,10,000) & MOTOR CYCLE or SCOOTER, where the Government servant’s basic pay should be Rs. 10500 or more for Motor Car and Rs. 4600 or more for Motor Cycle / Scooter. 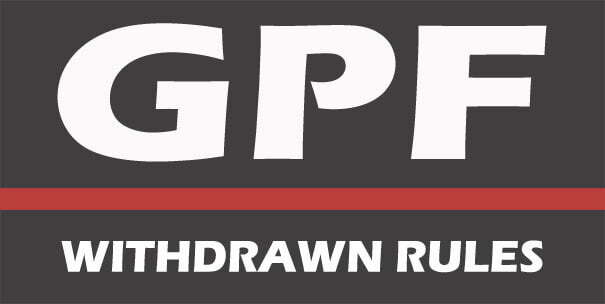 There are various forms to apply for GPF withdrawal amount according to various conditions as above and find the various forms available to download, but for a BSNL employee there is no need of forms to apply, because an official can apply online at ERP login at erp.eportal.bsnl.co.in in fulfilling the above conditions. So, let’s check about how to apply BSNL GPF withdrawal online also. BSNL employees or the Government servants who are members of CGEGIS can withdraw once in a financial year towards subscription paid for Group Insurance Scheme. After completion of 15 years of service, a BSNL employee can withdraw GPF amount every month also as per requirement with the existing conditions and the eligible amount shown in the ERP BSNL eportal. The final GPF withdrawal in the career (only once) of a BSNL employee can be made upto 90% of the balance of credit which is admissable with in 12 months before retirement on superannuation without assigning any reason.